I was so delighted to discover Ms. Cornelia Crosby today while looking into the history of Registered Maine Guides (as one does). 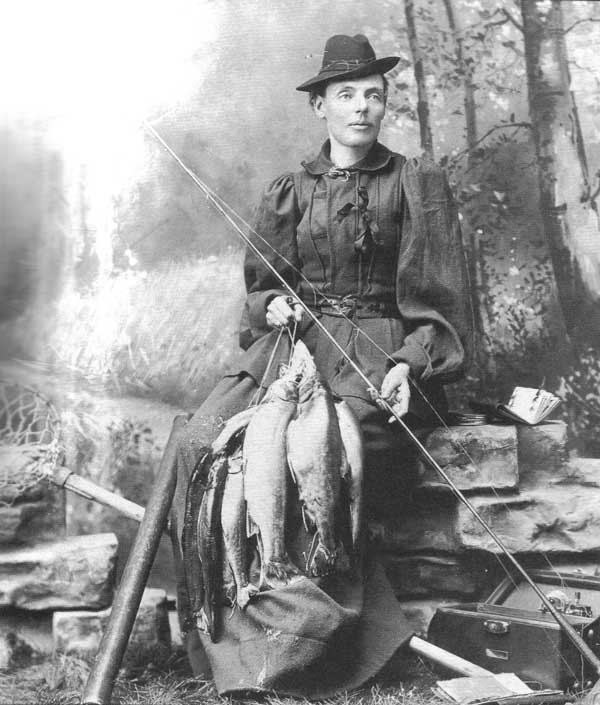 Crosby, who was best know by her nickname "Fly Rod" was in 1897 the very first Maine Registered Guide. She was exceptional at fly-fishing (you'd better be if that's your name) who was witnessed to have caught 200 Brook Trout in a single day. But perhaps Crosby's best achievement was marketing Maine tourism to the rest of the country. She attended large outdoor trade shows in Boston and New York, wrote a syndicated column about her adventures, and advocated for railroads to be built to access hunting, fishing, and hiking in Western Maine. Quite a life, especially for a woman born in 1854. Looks like she even got some casting in with a young Theodore Roosevelt (photo below). 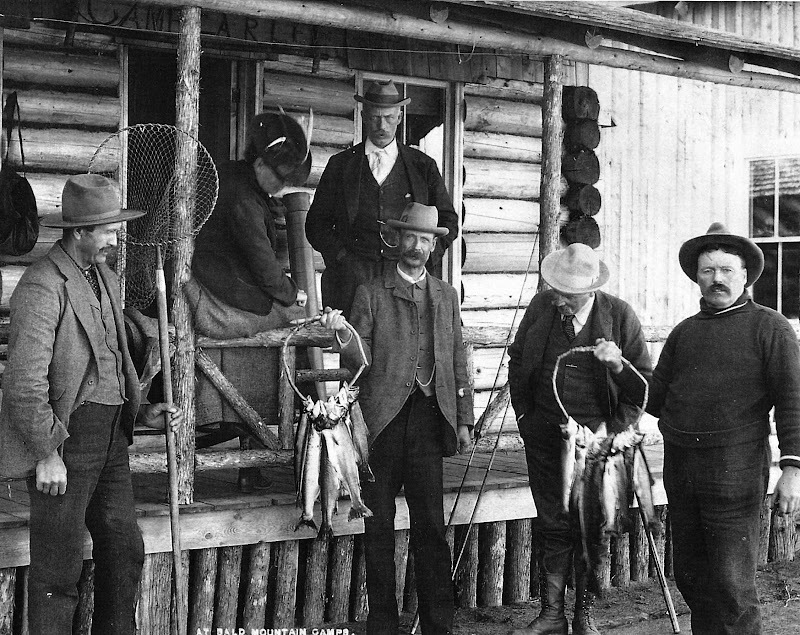 I think this history also speaks to the abundance of wildlife that once was. Hooking 200 fish in a day is a tribute to her skill. It is also a reminder of the loss of wildlife across the country. And she did it all while wearing a dress! 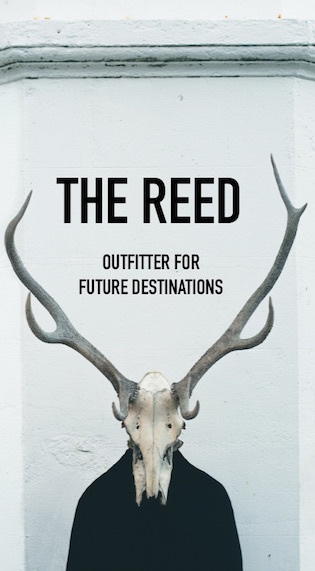 So happy to see you feature Fly Rod here! 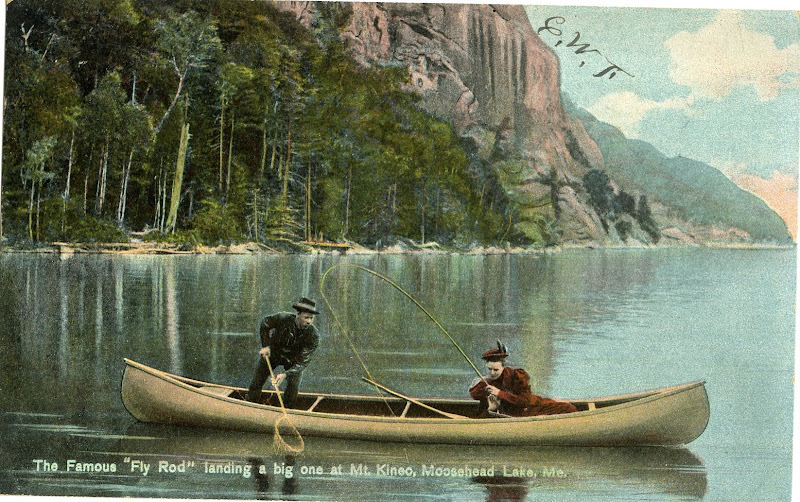 I've included some excerpts from her journals (via the book "Fly Rod Crosby: The Woman Who Marketed Maine") in the syllabus for the New England Literature Program class/field trip to Rangeley, Maine that I teach. The Rangeley Outdoor Sporting Heritage Museum there has an exhibit on her, which includes her canoe paddle.